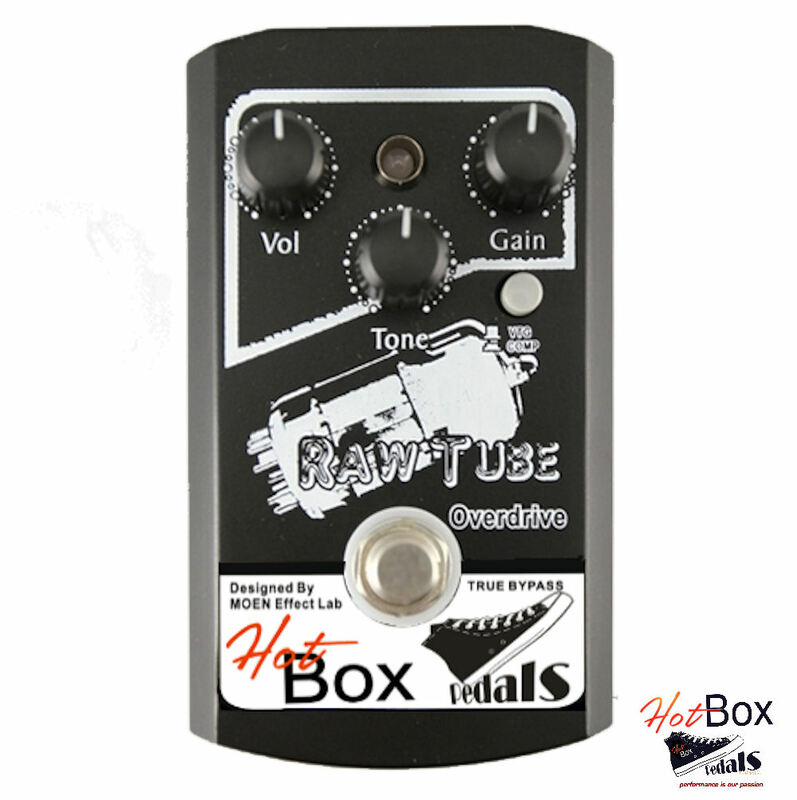 The Hot Box HB-TD Raw Tube Overdrive actually contains a real 12AX7 vacuum tube inside giving you REAL tube tone in a small compact Analog pedal and made exclusively by Moen Effect Lab for Hot Box Canada. Very nice overdrive pedal with great vintage and compression modes for shaping your output tones and can compete with more well known (and much more expensive) vintage rivals. Because the natural clipping is from an actual tube, the overdrive is smoother and less artificial than other overdrives. Doesn’t color your sound and allows for smooth beautiful sustain. This pedal also includes it’s own 15V power adapter because of the tube it needs more juice than the 9v required for Boss style pedals. 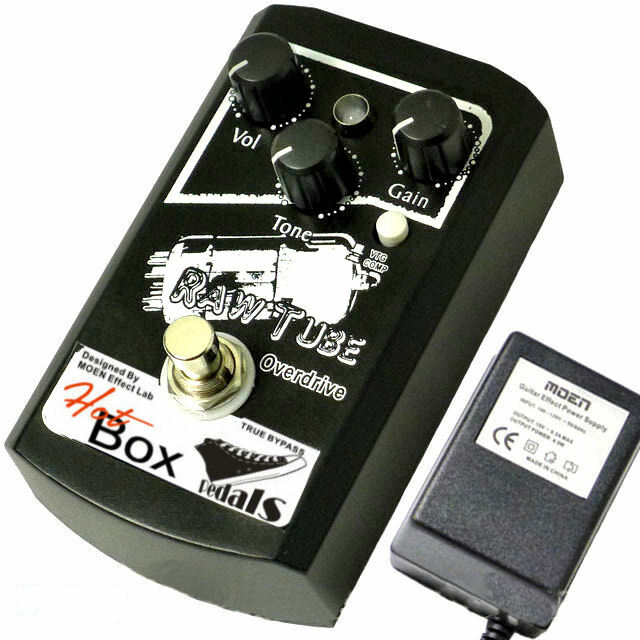 It is a True Bypass and that means that the input jack is connected directly to the output when the pedal is switched off, so your sound is totally unaffected by any filter or circuitry.